Thanks to my dear friend Autumn, I was able to take part in some recipe testing for an ISU Extension calendar. I did three recipes. One was a no win in our house, and two were majorly awesome! This one is majorly awesome! 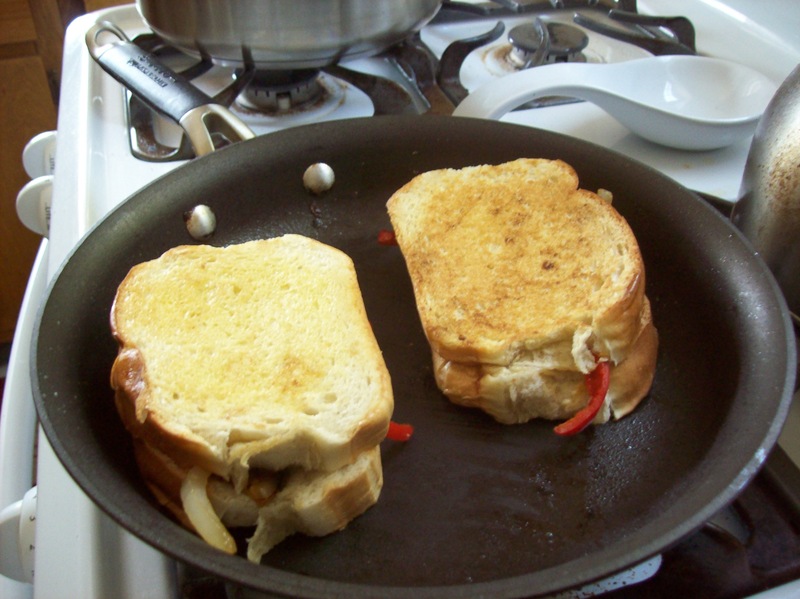 You start out with slicing some french bread, and making some garlic mayo by adding lemon juice and garlic to some mayo. 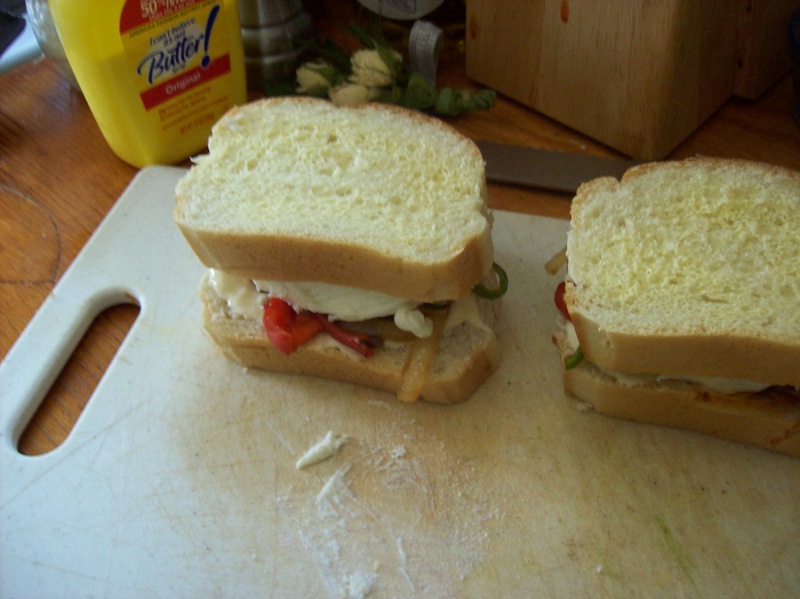 After spreading some of your delicious mayo on half the slices of bread, top with sauted green pepper, onion, and mushroom. 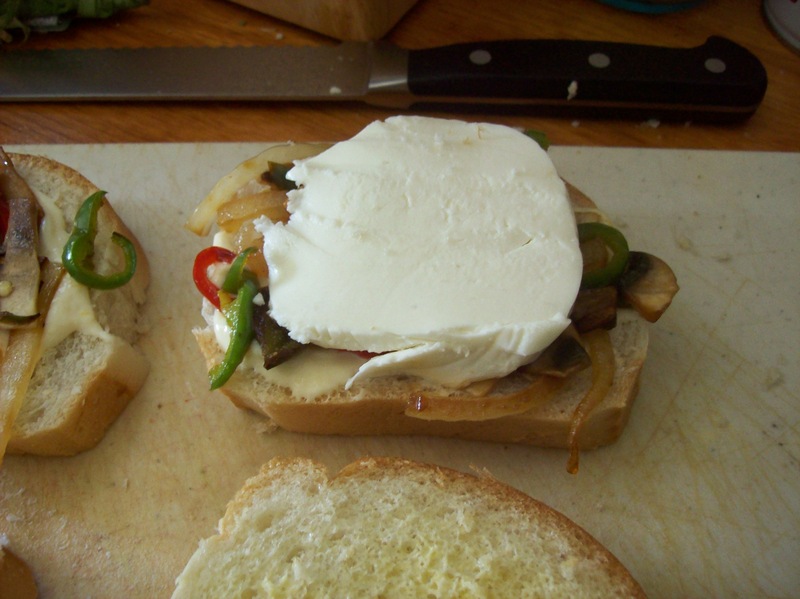 Then, top with a slice of fresh mozzarella cheese…. Then, finish off by topping with the other slice of bread, and spraying with butter spray. Combine juice, mayo & garlic. Spread on 4 slices bread. 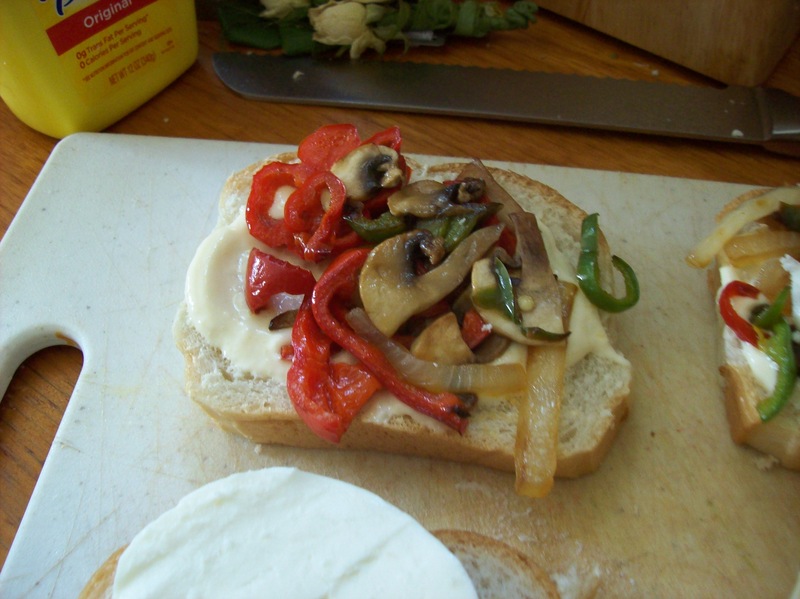 Top with onion, pepper, & mushrooms that have been sauted in cooking spray. Then, a slice of mozzarella. Finish assembly, with other slice of bread. Spray with butter or olive oil spray, and place in a preheated frying pan. Cook 2-3 min on medium heat until golden brown. Flip, and repeat. Next PostNext Quite the delicious little salad….